If you take a peek inside your medicine cabinet, no matter how full it may be, you'll likely be hard pressed to find one treatment that works for dozens of medical conditions and first aid emergencies. There is a natural remedy, however, that is so safe and effective it is recommended for dozens of ailments, including bee stings, scorpion bites, pink eye, and acid reflux. It's called activated charcoal powder, and it's one of nature's best antidotes. 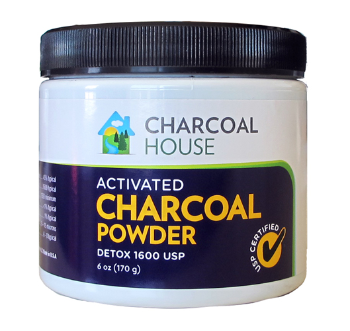 We are the Internet's number-one resource for information on activated charcoal powder. Here, you'll find a wealth of information on the many uses and benefits of activated charcoal powder, inspiring testimonials, and a secure storefront where you can purchase all of the activated charcoal products you need. Unlike the many "magic cures" that can be found on the Internet today, activated charcoal powder is recommended by the Poison Control Center of America, and it is rated Category 1, "Safe & Effective," by the FDA. In fact, it's used in hospitals every day for accidental poisoning and to detoxify patients who are suffering from an overdose of aspirin, barbiturates, morphine, and other addictive drugs. There is no other treatment that works as well. If you're interested in learning more about activated charcoal powder, please take the time to browse our comprehensive website. Here you'll find answers to many of your questions, plus access to a wide supply of charcoal products, including powder, capsules, tablets, and granules. And, because all orders come with a product guarantee, you can shop with confidence.